Can you help? Any interesting information to build this section would be great! June 91 TV One filmed this for the Holmes Show. This started the Leisure Marching throughout New Zealand. The second team to form was the “Silver Crowns”. 3 Nov 91 First Open Day for the various teams was held at Fergusson Park when a large number of the public attended. 24 Nov 91 Marching Grans invited to Rotorua to march at the “Your Only Young Twice” Festival arranged by the Rotorua District Council. 1991 The idea of leisure marching on the Kapiti Coast was inspired by an item on The Holmes Show in 1991 when he interviewed the newly formed Tauranga team. Proving age was no barrier, a group of over 50’s Kapiti Coast women formed their own marching team and called it the JOYSTEPPERS. A year later they added the name Waikanae and became the WAIKANAE JOYSTEPPERS. Their first march was at the Levin Christmas Parade in December 1991. 1991 After seeing the Holmes Show a group of Levin ladies formed the Silver Tops, finally disbanding in 2009. Feb 92 In Tauranga a well attended meeting of ladies interested in marching was held. From this meeting, Tauranga Classics, Golden Kiwis, and Matua Majors marching teams were formed and later the Impalas. Feb 92 The Gran-a-Dears tea in Rotorua and later Glenbrae. 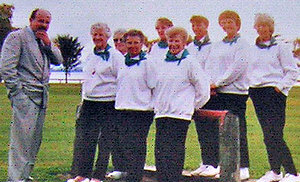 April 1992 Leisurelites were formed in North Shore Auckland. 25 Apr 92 An Open Day was held at Rotorua with 12 teams taking part. Nov 92 Tauranga’s second Open Day held at Wharepai Domain for all teams. The name Leisure Marchers was chosen for all non competitive teams. 20 Mar 93 Rotorua hosted the first New Zealand Open Day for Leisure Marchers and twenty two North Island teams took part. 7 Apr 93 Names were still being received from ladies wishing to arch. The Blue Belles and Greerton Gold teams were formed also two teams in Te Puke, RSA Ladies and Simply Magic. 1995 Levin Lakers formed later to become the Happy Hookers. 2004 Remax/Reds formed (and in 2010 changed their name to Taitoko being the name first suggested for Levin). 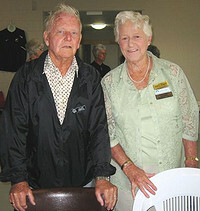 2011 NZ Originals (Marching Grans) celebrate 20 years in marching. 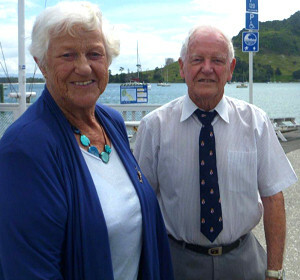 2012 Facebook page implemented by Amanda Martin from Royal Guards (Invercargill) and administrated by Amanda and Toni Grumball – Hokonui Pioneers (Gore).